Here Is Looking At You is a painting by Kris Dixon which was uploaded on October 5th, 2010. 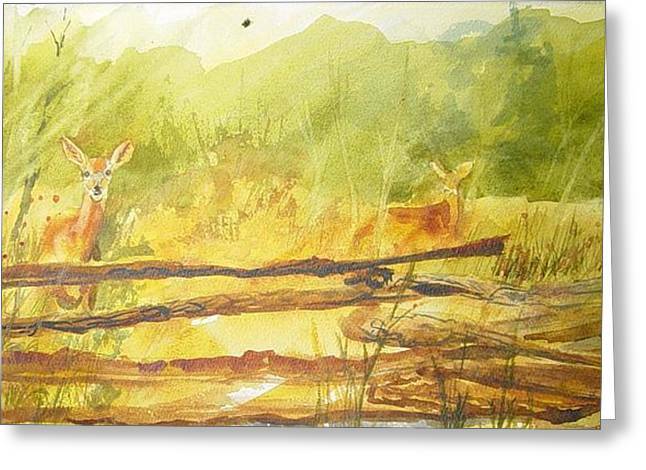 Two deer have wandered into a field and find themselves looking over a split rail fence. They are sure that no one will bother them as they browse on the grass. What a delight viewing your artwork! I am in awe of how you create a complete composition with the simplicity of your brush strokes.